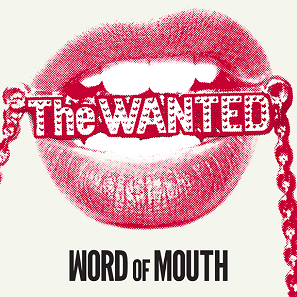 Review - The Wanted - Word of Mouth - Pop! Bang! Boom! Boy bands have been coming back for a few years now, and no two groups prove that more than One Direction and The Wanted. Both had massive worldwide smashes years ago--The Wanted reaching the US top 10 with “Glad You Came”--and have been running the UK charts ever since. The difference between the two girl magnet groups is that while One Direction have continued to secure big hits (at least some), as well as two number one albums, The Wanted have somewhat fallen by the wayside. The singles that have followed “Glad” didn’t come close to the same level of success, and they’ve only gotten worse as time has passed. ‘Word of Mouth’ is the group’s first full length LP in the US (and third back home), and sadly it doesn’t do a whole lot for them. The group is five singles in as they release it (not the best sign), and they’ve been tweaking and pushing this for two years. After all that time, one would expect something revolutionary and groundbreaking...or at least something extremely catchy. ‘Word’ is none of those things, instead opting for more of the monotonous same old same old. If you’ve heard one song on the album, you’ve heard them all. None of them are especially badly done (except for the writing, which at times does actually stink), but the tediousness of the too-long (the deluxe edition is 19 songs long) does weigh on you.